Beacon Press: Am I A Woman? 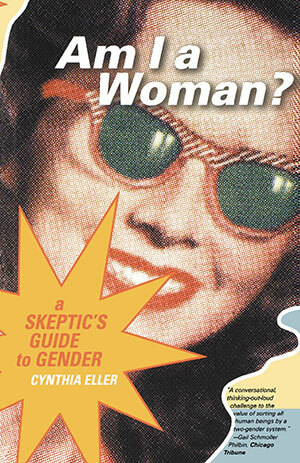 In this smart, intimate, and conversational book, Cynthia Eller delves into the twin thickets of gender theory and everyday experience to ask how we decide who is a woman-and why we find the answer important. Is a woman defined by her anatomy? Does she perceive the world differently than men? Is it her behavior that somehow marks her as inescapably female? Or is it a matter of how others evaluate her? Eller’s answers demonstrate that the question is far more complicated, and its effects more pernicious, than it might at first appear.